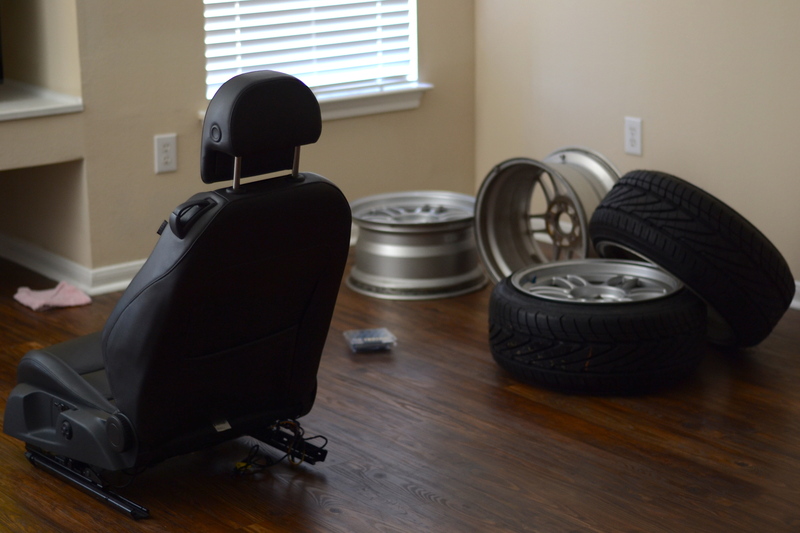 Sooo, I bought some Enkei RPF1 for my GTI for a really good deal…. The problem was the bolt pattern is 5×114.3. 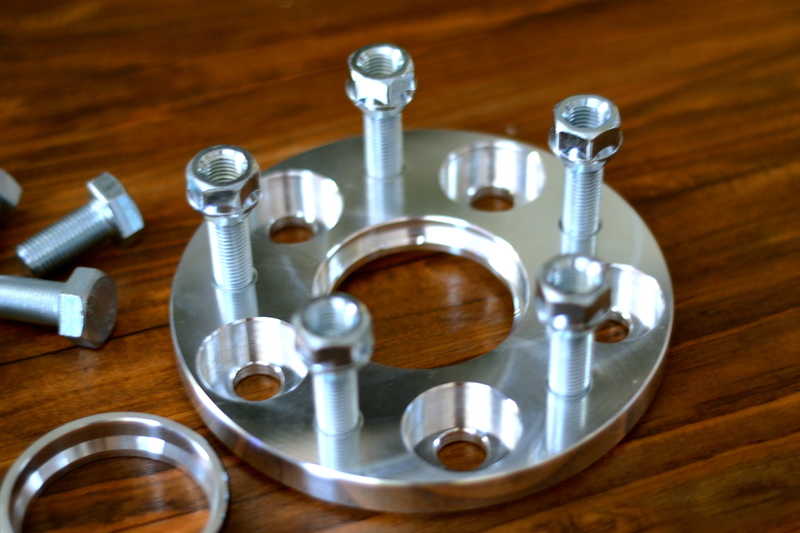 Now if you have a MK5 VW or Mercedes or Audi the bolt pattern is 5×112, unfortunately it wasn’t going to work out. But I had several options: I could get wobble bolts, or I could get the rims re drilled to 5×112, or I could buy adaptors. Wobble bolts are great because there are relatively cheap but i would need to bore out my rims in order for the wobble bolts to fit. My RPF1 is 17×9 et35 so i could have gotten my rims redrilled but I didnt because I wanted a more aggressive offset and stance. Which brings me to my adaptors….. 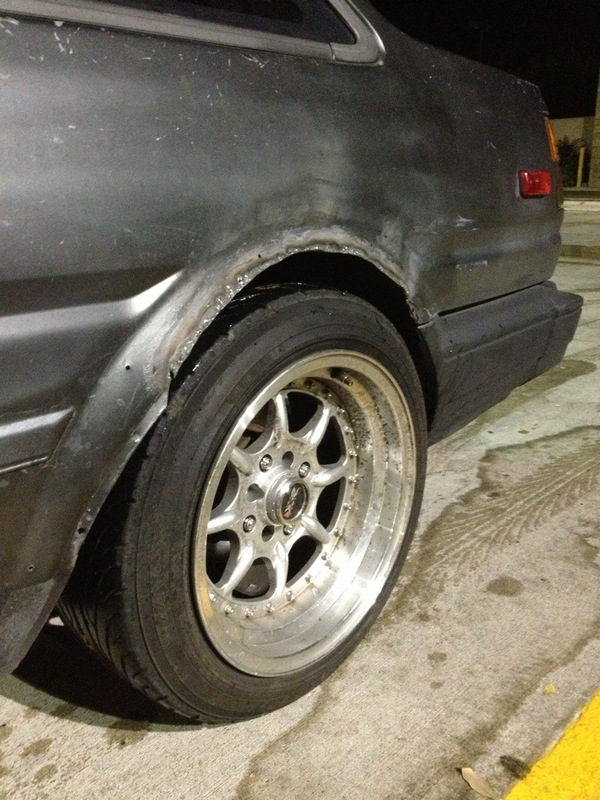 So my buddy Jason came over after I got of work to start welding up my rear quarter panels. Joseph decided to come on over as well. I picked up a 12 pack of Dos Equis and we quickly started working on the levin. Using the hammer and a bunch of ice grips. We attempted to get the two layers of metal as close to each other as possible. The rear quarter has metal coming from the wheel well, which is factory welded together to the outer body of the 86. I had to close up the gap from cutting and grinding. An hour and a half later, we had the driver side finished. Yes we took our sweet one and almost finished a 12 pack. Hahah. It’s that time of year again. Another CCM down. This time a few of the boys and I drove/rode to Houston to gather for CCM 15. The cool part this time was that we got to stay with big brother Vinson in his Houston diggs for the weekend. We tried to keep it nice and clean…. besides breaking his garage door and having Joseph pass out within the first few minutes. My non consumption of alcohol led me to be the first one to fall asleep and luckily not be held responsible for these travesties . This weekend marked my first big trip on my motorcycle (900+ miles in 3 days total) and I found out a lot of things about motorcycle riding including the frequent need for rest stops. On one of these such rest stops we even met a guy on the outskirts of Houston who turned out to be quite the character. After first rolling up in his 5.0 soft top he made Thaison and I stay there so he could go home and get his older Celica. We didn’t think much of it until he returned in a purple older gen celica (Thaison help me out here) which was completely gutted and swapped with a 4runner motor. Needless to say the car looked like a lot of fun, and the owner had tons of fun doing the only thing you’re required to do in rural America…. burnouts. Shortly, we made it down and stopped at Mai’s restaurant in down town Houston. Little did we know the place was all kinds of fancy and we were all under dressed ( me in a motorcycle jacket and Thaison’s ripped shorts didn’t help our case). The food however was great and we sure did eat it all. We left there and made it to Vinson’s house to get ready for the next day. So I guess my third week of owning it, I decided it was time to lower the car. It was originally on megan lowering springs, but i just wasn’t happy with that drop.